Tuckpointing is one of the most common chimney restoration services performed by Wisconsin Chimney Technicians. Chimney tuckpointing is the act of packing fresh mortar between the existing bricks on your chimney, eliminating potential leaks, improving structural support, and restoring the integrity and aesthetic value of your chimney. This is just one of the many chimney repair services offered by the Milwaukee chimney repair experts at Wisconsin Chimney Technicians. Quick action is required when the mortar holding your chimney bricks together begins to deteriorate and can no longer repel the elements. Providing the best chimney masonry services in Wisconsin requires true craftsmen who KNOW brick restoration. 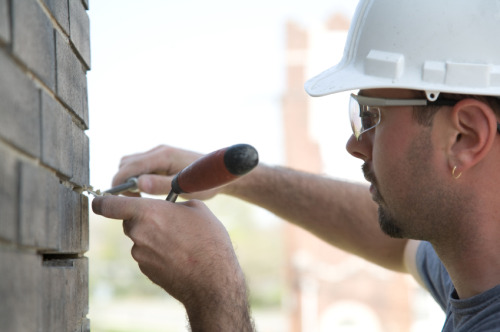 Repairing aged mortar and restoring your chimney to optimal condition demands unbeatable tuckpointing offered by the certified masons of Wisconsin Chimney Technicians. Tuckpointing is when a chimney expert replaces the mortar between your bricks. While mortar is originally put in place to hold the bricks together – whether these bricks form your chimney, the side of your house, or even your porch – the mortar is gradually worn down over the years. These vertical and horizontal cracks between the bricks are known as the joints. Besides time in general, a major cause of wear includes the harsh winter conditions, particularly moisture. Your chimney doesn’t get to go indoors like we do, it’s outside all the time. This constant exposure means even the best maintained chimney will need masonry work eventually. There are several signs you need chimney repair or replacement. In bad cases, the masonry work will begin to appear lopsided as mortar within the joints disintegrates. In extreme cases, the individual bricks begin to loosen. If this is the case (where bricks are coming loose), it might even be too late for tuckpointing to serve as a viable option. Regardless, this means your brickwork is an immediate concern that should not be delayed. 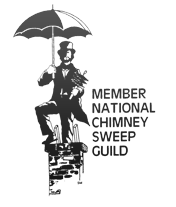 Moisture is one of your chimney’s biggest enemies. A leaky, aging, or damaged chimney can cause homeowners thousands of dollars in unexpected repairs. 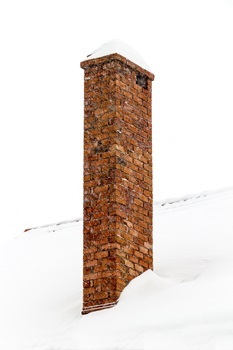 Lots of snow or rain getting into your chimney is another sign of possible damage. So you’re probably wondering how to tell if the mortar in your chimney needs tuckpointing. There are two paths, one of which is to just call a chimney inspector for an expert’s advice. For those who prefer DIY methods, just take an object like a screwdriver or and lightly scrape the mortar in between the bricks. Are you leaving behind scratches and a powdery residue that seems to break apart way too easily? If so, you are definitely in need of tuckpointing. The professional chimney masons at Wisconsin Chimney Technicians provide affordable tuckpointing services. Our team will grind out the old mortar in the joints and refill it with fresh mortar. This will keep your chimney standing strong for years to come. Tuckpointing from Wisconsin Chimney Technicians provides a strong, water-resistant surface which will extend the life of your chimney and safeguard against future brick chimney repair needs. Wisconsin Chimney Technicians offers other excellent Wisconsin chimney services available in Racine, Walworth, Jefferson, Kenosha, Ozaukee and Waukesha, Milwaukee, or Washington Counties. When it comes to ensuring the safety of your home's chimney while restoring its luxury, look no further. Masonry repair will never be done this well anywhere else in the state. At the end of the day, there’s no substitute for inspecting a chimney up close and evaluating each detail on an individual basis. 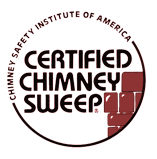 For fail-safe results, call your local chimney professional directly and receive a thorough inspection. Contact our Waukesha tuckpointing experts today at (262) 443-5933.